Your child goes to school and two other kids have the same lunch bag as she does. The “sticky” label you put on falls off. The other kids don’t have a label on their bags. The kids don’t know which bag belongs to who until they start going through what’s inside. You could keep trying to put on your own “sticky” labels or you could try something new. For some reason every time I put a label on a lunchbox, book bag, or something else, it comes off. It’s annoying! So, what’s a momma to do? How about trying some new personalized stickers that work and look cool at the same time? I recently tried out some labels from Stickerkid. These labels are great because not only do they stick well, they are also fun to design. You can choose labels for belongings or clothing. I chose ones for belongings. Once you choose which ones you’re going to go with you can customize them. You can pick your own design to suit your child’s personality. 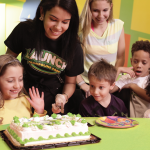 You can even add your child’s photo. There’s no mistaking who belongs to what items if you do this! 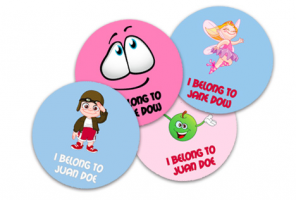 Stickerkid labels are great for school, daycare, and even camp. They’re even good for inside the house if you have more than one child. This way you can tell who belongs to what minus the arguments. If you want to try labels from Stickerkid, here’s your chance. The Mommy Rundown is partnering with Stickerkid to give away $20 worth of labels plus free shipping. Enter here! Good Luck! *I was compensated with products from Stickerkid to complete this review. The Mommy Rundown is not responsible for distributing the prize. The prize is being offered and distributed by Stickerkid. We all know getting a child to sit still to brush hair is more than difficult. Add a few tangles and knots in the mix and it’s a nightmare. The brush gets stuck in their hair. You get annoyed. All in the name of not looking like they just rolled out of bed and haven’t brushed their hair in a week. If you have little girls, you know exactly what I’m talking about. That’s why I was super excited to try out The Knot Genie. At first, my girls looked at me like I was crazy. But, when I told my older daughter, who is notorious for tangles and knots, she got excited too. So, after getting dressed one morning, I put The Knot Genie to the test. 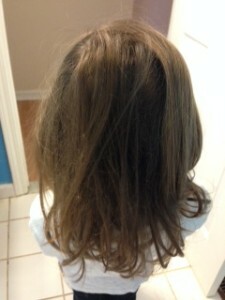 I was amazed at how easily I was able to brush out the nasty tangles! I didn’t have to give the brush an extra tug nor did I have to hold the top of my daughter’s head. The secret is in the brush’s different shaped teeth. This allows the knots to come out without pulling the hair out from the root. This has happened to us countless times; thus all the screaming. The Knot Genie glided down my daughter’s hair until all the tangles were gone and her hair looked lustrous and smooth. 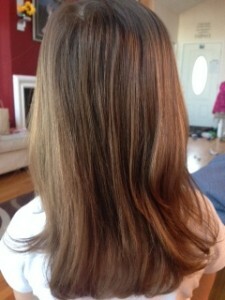 My daughter was extremely happy because it was a painless and quick process! She liked it so much she started to brush the back of her hair too. 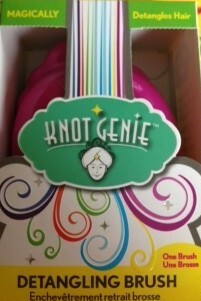 Now, the Knot Genie has become part of our morning and night time routine. It can become part of your’s too! Just enter below for your chance to win one for yourself! Good Luck! As Disney’s Into The Woods is now available for purchase on DVD and Blu-Ray, we are lucky enough to give away a copy to a lucky reader! The Mommy Rundown is helping to get the word out! 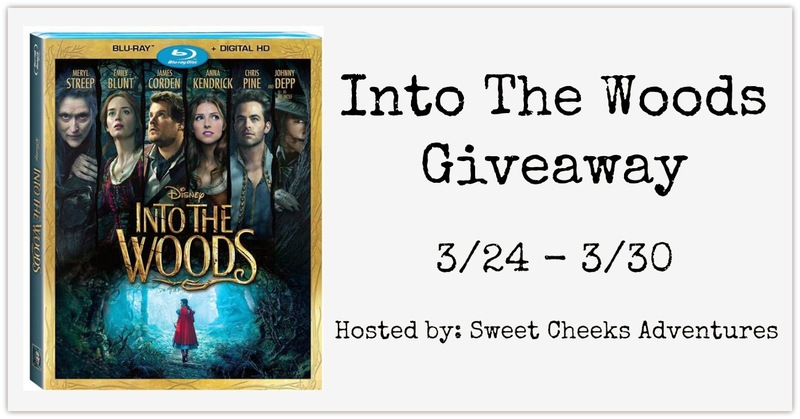 Be sure to check out Sweet Cheeks Adventures’ Review and find out why you need to enter this giveaway! Good Luck! 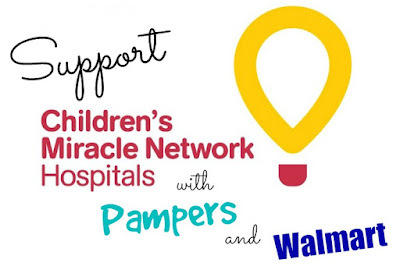 Dates: Starts March 24, 2015 12am EST. Winner will be chosen March 30. 2015 11:59 pm EST. To help get ya ready for Spring, we’re giving away a $25 Victoria’s Secret gift card! WOO!! The Mommy Rundown is helping to promote this great giveaway! Ready to enter? Do so in the widget after the jump. Oh yeah – it’s open Worldwide – except where prohibited – because I’m cool like that! This giveaway is for four DVD’s from NCircle. The Mommy Rundown is helping to get the word out! These DVD’s include Octonauts, Pocoyo, The Wiggles and Wibbly Pig! The giveaway is open to the U.S. only. 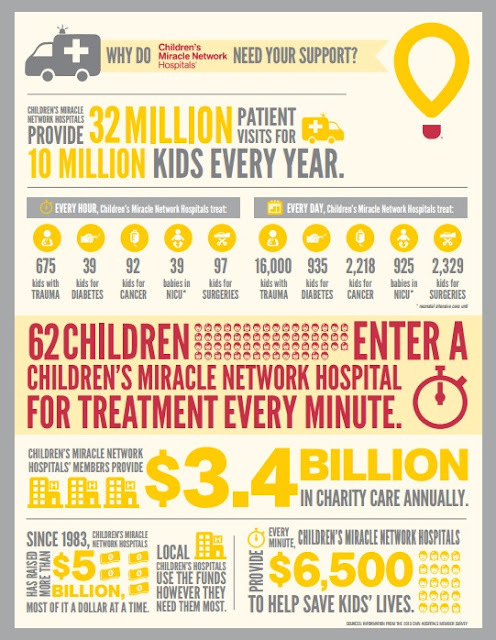 This will run from 2/20-3/6. Good luck to everyone. Everybody! 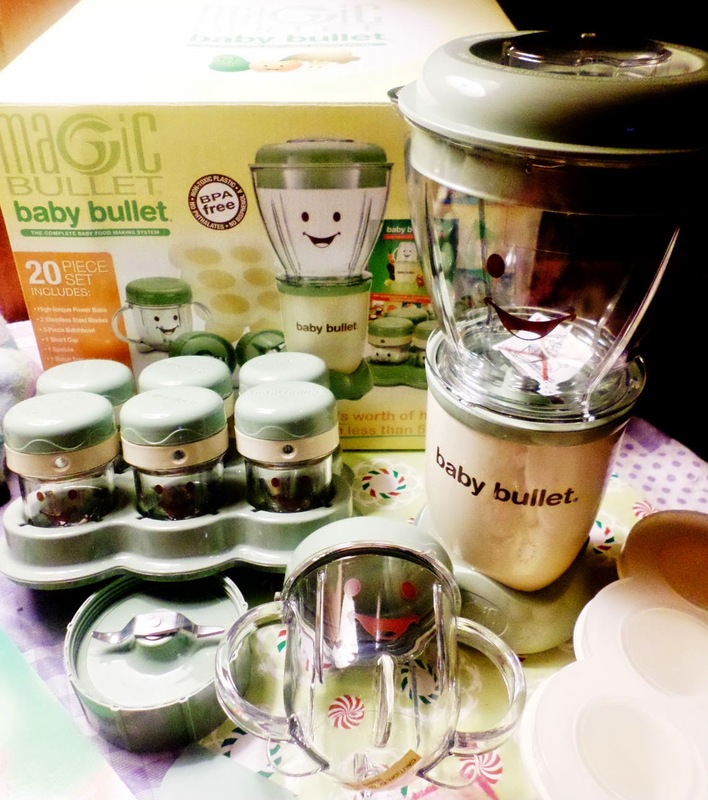 Gather around and meet the Magic Bullet: Baby Bullet – the simplest, easiest and most convenient way to make your own baby-food, from scratch, at home, just the way your baby is going to love it and with all the goodness and nutrition he or she is going to need! The Mommy Rundown is helping to spread the word about the product & a giveaway! For as long as I can remember, I have cooked from scratch and I love to feed my children good, healthier foods without any of the added sugars, sweetners or other products that just simply do not have to be there and I have always mashed and smashed and smoothed the hard way – though have managed to get the job done! The Baby Bullet really does take you through the first stages of baby-feeding and lasts beyond! You can always make apple sauces, blends, smoothies, even ice lollies from fruit and veggies and none of the added stabalizers or unnecessary sugars! Great! 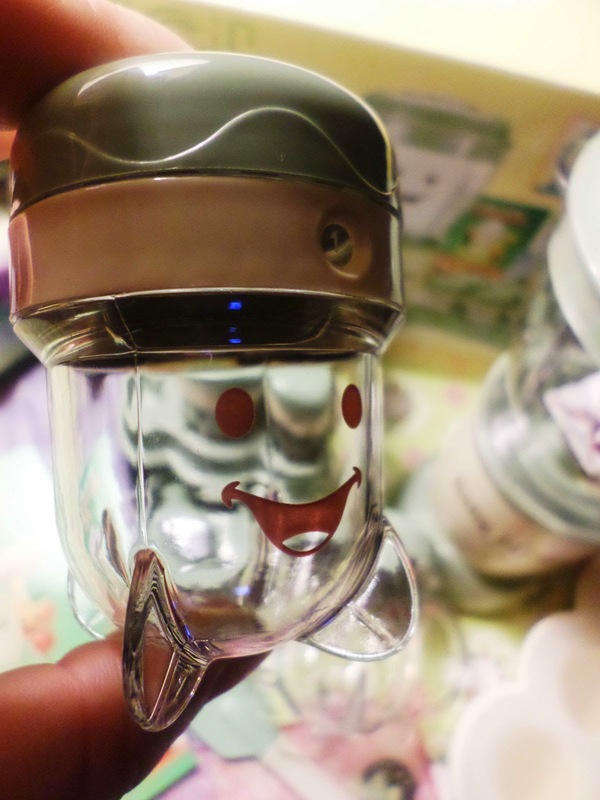 I am actually thoroughlly impressed with this cute little contraption and you can’t help but smile seeing that big grin staring back at you every time you whip up a batch of goodness for the kids! My children LOVE the cute cups and are happy to reach for an apple sauce in a smiley cup then something that isn’t perhaps so great for them! I love that I can wash the entire set out and save on trash and recycling with this set and there are just so many bonuses to making your own food, period. I really wish The Baby Bullet had been available when my older children were babies, but delighted that I have been able to try one out now! It is just the perfect size to make the perfect children’s portions and will keep me going back for more as I learn new recipes and goodies that I still want to try! 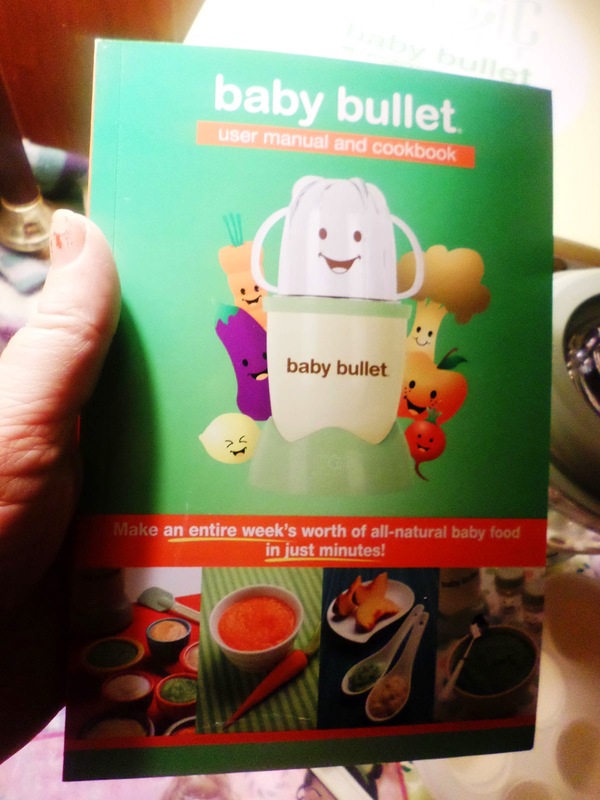 I would definitely recommend giving one a try if cooking for your little one is something that you have been thinking about – I think the Baby Bullet is a really good start! It doesn’t take up very much space in your kitchen, either and so you can always have it ready to go! Note: No participating bloggers are in any way, shape or form, responsible for this review or giveaway. Prize fulfillment falls to the company sponsoring the giveaway and all views within the review are those of the original reviewee, Mom’s Gone Bronson. Your views may differ! Thank you!